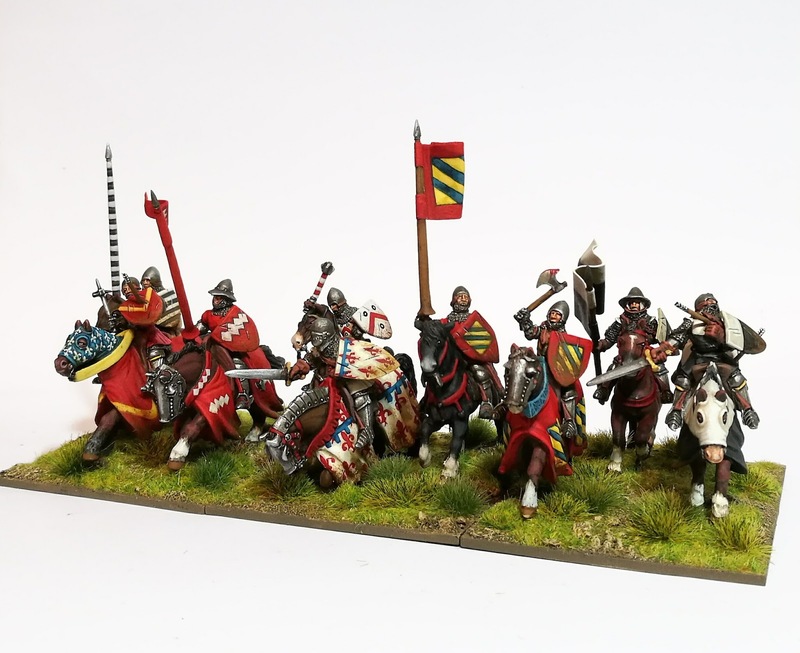 The latest addition to my French army. The centre base has still to be completed. Cracking work David in both composition and painting! Great painting - they look fantastic. 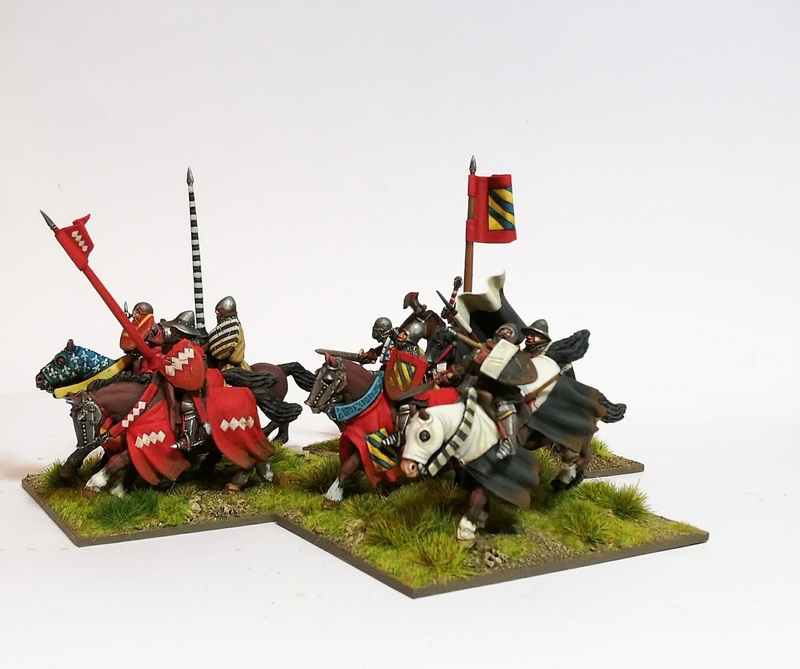 Superb, colorful and dynamic knights! Lovely! Very nice and clean paintwork! Beautiful looking figures. 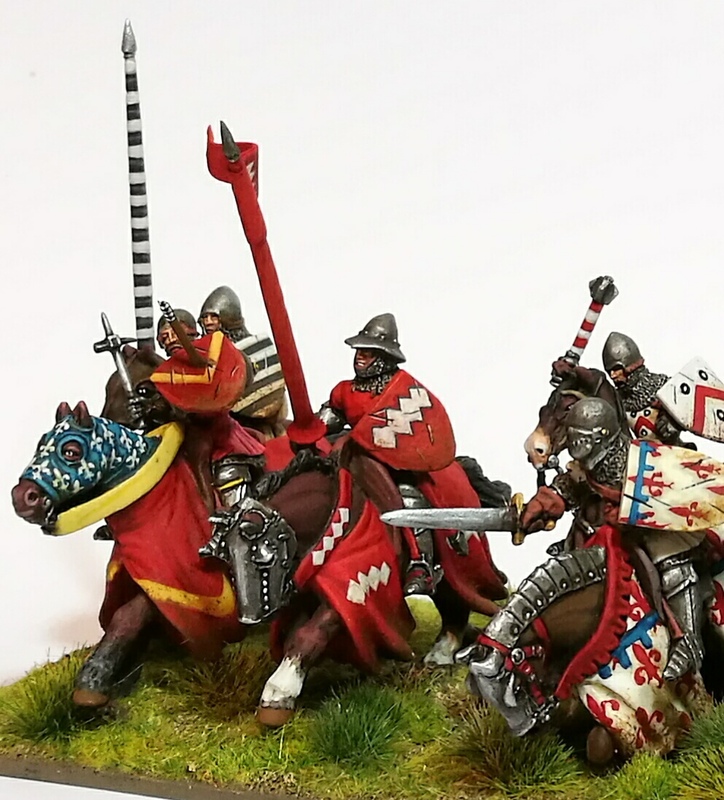 Such superb painting, basing and animation. The liberal use of red gives the unit a theme without outright regularity. Nicely done.